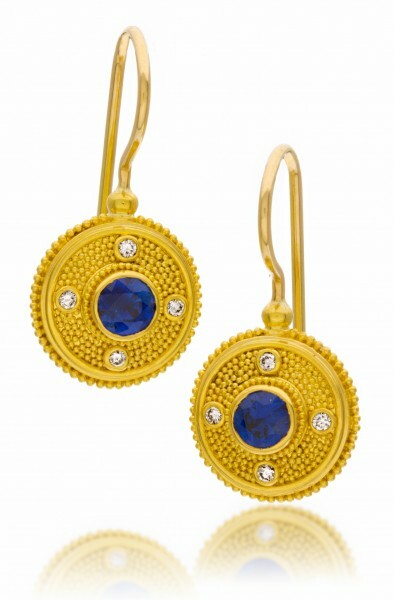 22K gold featuring blue sapphire .60 ctw and diamond .08 ctw. These earrings measure approximately 15/16” and have 18K gold ear wires. These may be reproduced with the gemstone of your choice.